I would happily speak of the “worst travel moments of 2015”, to echo the “best” ones, but given my affection for all kinds of challenges, the term “worst” seemed too pejorative. Instead, regardless of good or bad, I will present the moments that gave me the hardest times during this last year of travel. The slowest train between Beijing and Shanghai takes something like 20 hours to make the journey. 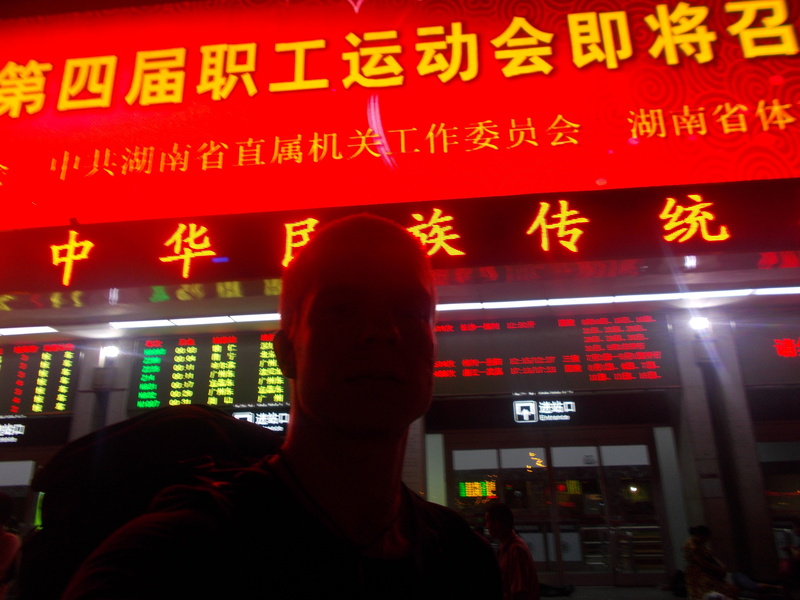 Trying to save a few yuans (Chinese currency), I decided to take a night train and a seat rather than a berth. A tiny spot on a hard bench, crammed with two Chinese and sharing a table with five other people all smaller than me (but with shoulders still too big for their seat). And I was a little bit sick before getting in the train. The kind of thing that pervades all your muscles and joints to make you feel as if you just passed go under the train, and puts an unbearable pressure on your skull. The best day/night of my life! TWENTY HOURS OF PURE HAPPINESS. It took me two full days to recover. While I could identify one or two specific moments that have been harder than others, the distance is always a big challenge when you travel for a long time. To feel far from friends and family is not only painful when you get the blues of have a hard time abroad, it is even more so when it is these people who seem to need us. Although this list contains several major events from, very few have moved and challenged me as deeply as this helplessness that physical distance imposes. On the Three Passes trek in the Himalayas, my second pass was the Cho La pass. Leaving from 4700m, climbing up to 5420m and then descending to 4900m was the day I had ahead of me. A headache that started the previous day did not bode well. Add a night spent shivering and freezing rather than sleeping and a walking pace too fast for me (to keep up with two trekkers who carried nothing) and you have an excellent formula to wear you out both mentally and physically. An hour from the summit, convinced that acute mountain sickness had seeped into my brain and body, I saw the classic scenario coming to life: general exhaustion, I would continue to climb and worsen my state, which would deteriorate very quickly. Realizing how remote I was located and how steep and dangerous it would be to go back down the same way I came from, I saw how few options I really had: one. Faced with the possibility of being caught by my foolishness at over 5000m and dying there, I felt a bit helpless, it’s the least I can say. But if I finally completed the climb (and the day) without complications, it was mostly due to my luck. And a little bit to the care I had put into my acclimatization. In the Zhangjiajie National Park – the place with the unreal mountains that inspired the landscapes for the movie Avatar – there is a hostel located on top of the mountain plateau. I stayed there two nights, to take the time to explore the park and its trails. I had been warned by a few people: the food served at this hostel is bad. Really. Still, I thought that after a year in China I would be immune to weird cheap food. But to think like that was to underestimate the ability of this country to concoct strange meals while completely ignoring hygiene standards. A wonderful idea when there is clearly no hospital available nearby. On my second night there, I got up seven times to throw up. The first two times, at least, I had something in the stomach to vomit. But not the five other times. And the last four times, my body gave up and it started to come out from both ends… Alternately. Separations started with three friends going home last spring, followed by many others as the summer settled in. The first two friends I made in China (Jean-Marc and Vojta) then left, then the one who welcomed me at our school and supported me all year long, Mike. One of the most difficult moments was probably the end of the evening when I had to leave a couple of Quebecers met way too late. Laurence and Frederic quickly climbed their way up to the top of my list of sincere friendships, and knowing that I won’t see them again for several months – maybe years – was particularly difficult. One of my best students had lived for two years in the United States. His English name was Billy, he was nine or ten years old. Obviously excellent in English after this long stay (especially for his age), he had a very demanding father who pushed him to improve quickly and asked me to give home all the tips and advice possible so his son could work at home. It is stressful enough to teach English since I’m not a teacher, English is not my mother tongue and I’m not bilingual. It’s stressful because that’s exactly what is sold to my students’ parents, and that’s why they trust me. To reach the limits of my English and to take the risk of being “unmasked” gave me cold sweats more than once. 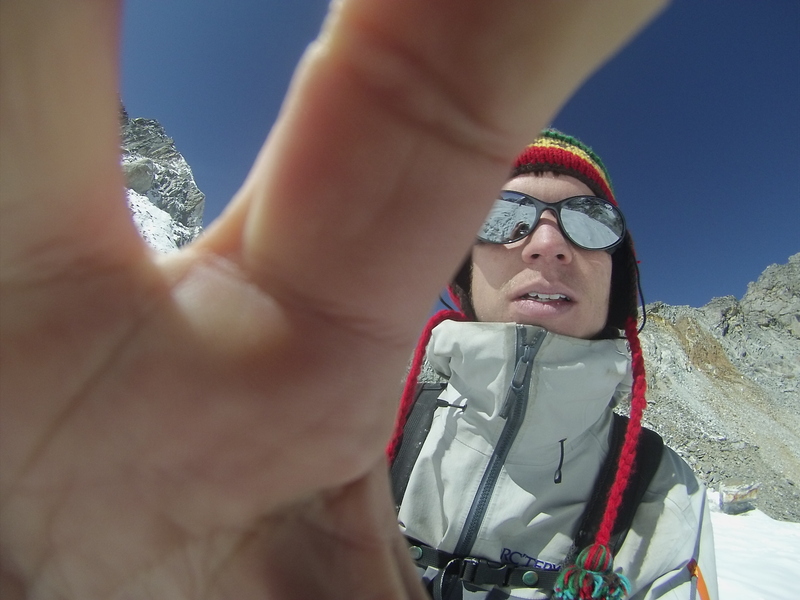 Two days after crossing the Cho La pass (at 5420m, the one that scared me), I learned that my dream to climb Island Peak (6189m) would not become reality. Indeed, some recent political changes in Nepal had upset the process for 6000m peak permits and it was now unthinkable for me to get one. I had been dreaming of this for so long… It felt like a breakup. Two days later, having just defeated turista (traveler’s diarrhea), a white sky and heaps of snow made me understand that I had to forget the Kongma La pass (5550m). It was impassable. This was my third pass on this trek, the last one, the highest and the one which promised to be the most difficult. In other words, the most exciting. To modify my plans without notice has rarely been a problem for me, it’s even one of the joys of travel. But to see not one, but two precious dreams go up in smoke one after another, it breaks your heart! Contemplating this list, it’s easy to see that 2015 has not been a particularly “difficult” year. Let’s just say that I have been sick a little more often than I would have liked. Who really wants to visit a Chinese hospital? Or to be way too far and high in the mountains to even have access to some medical assistance? Nevertheless, my travel experiences in 2015 were rich in lessons and learning of all kinds. This entry was posted in Stories and anecdotes and tagged 2015, most difficult moments, travel, worst moments. Bookmark the permalink.